The Heights of Abraham is Derbyshire’s oldest visitor attraction. 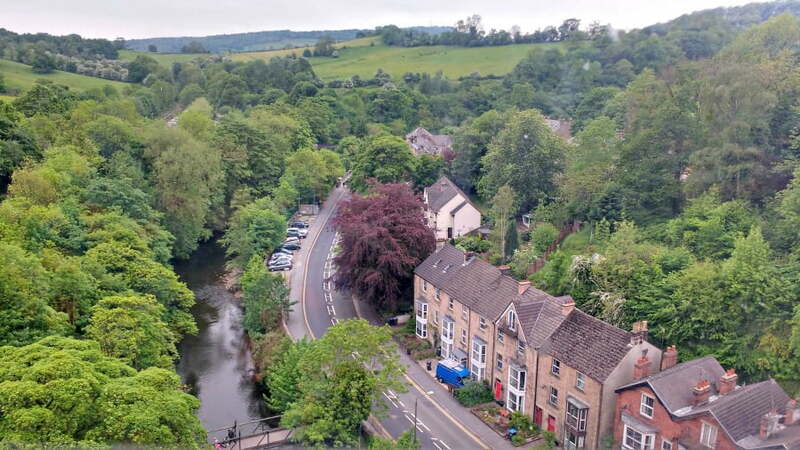 Located in the ‘seaside’ town of Matlock Bath (a resort town with amusement arcades, fish and chips shops and gift shops but without a beach), the Heights of Abraham began welcoming visitors in the 1780s. The first visitors used to walk up the steep path to the top of the High Tor hill, but nowadays visitors get a cable car to the top, where they are rewarded with over 60 acres of woodlands and gardens to explore. 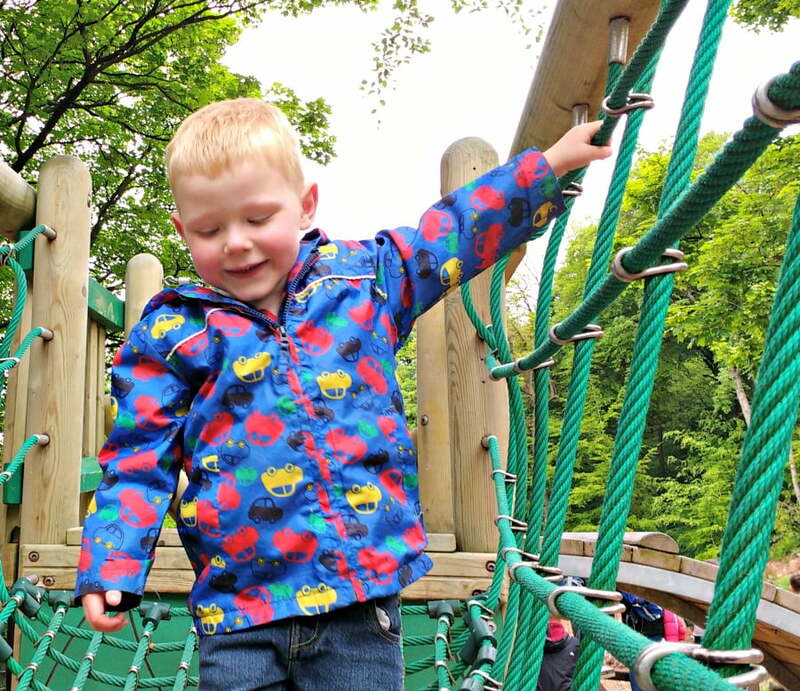 We visited in May 2016 to see what the Heights of Abraham is like for toddlers. The cable car ride is about 7 minutes long, and zooms up the hill at some speed. Each cable car seats 6 people and the views on the way up are phenomenal. You get a bird’s eye view of people enjoying themselves at Gullivers Kingdom in the distance, the town of Matlock Bath and the surrounding peaks. There is a momentary pause half way up whilst the people at the bottom board which gives you a chance to fully appreciate the view. At the top of the hill, you are spoilt for choice about things to do. You can go on a guided tour of the Great Masson Cave, visit the Fossil Factory, play in the 2 playgrounds, great some food at the Café or just admire the view. 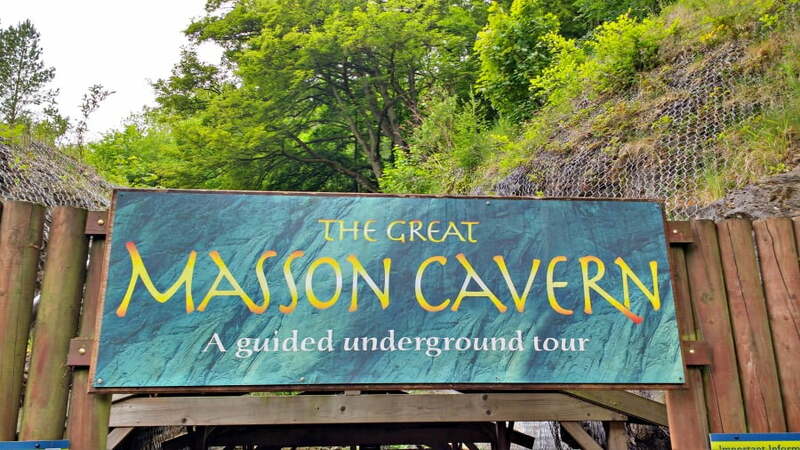 We started off with a guided tour of the Great Masson Cave. In my opinion, this 35 minute tour is more suited to older toddlers. Babies and younger toddlers might be a little scared (especially when the lights go out – more later), the ground is unsurprisingly a little unsteady and there are a lot of steps. Nonetheless, we still enjoyed it. We had a fascinating tour of this former lead mine which is over 300 million years old, and saw how dark it would be for the miners which worked there when our guide turned the lights out. When he turned them back on, the cave was illuminated with different coloured lights which let us see the whole of the cave. There is another cave further down the hill called the Rutland Cavern which also runs guided tours and both tours are included in the admission price. We had some lunch at the Vista Bar and Restaurant. If it was warmer, we would definitely have brought a picnic, but it was quite cool when we were there so we wanted to eat indoors. The restaurants serves a good range of fresh sandwiches and light bites as well as children’s sandwiches for £1.80. And unlike a lot of restaurants which serve kids food, there wasn’t a deep fat fryer in sight. 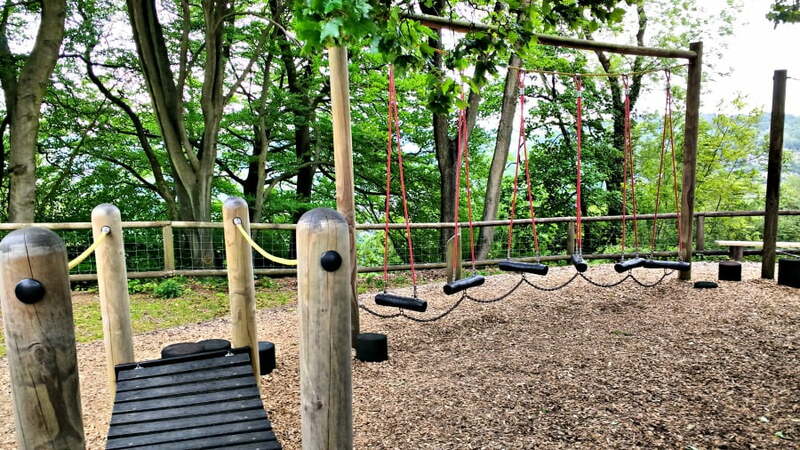 There are 2 excellent playgrounds at the Heights of Abraham, and both of them are fantastic for children of all ages. 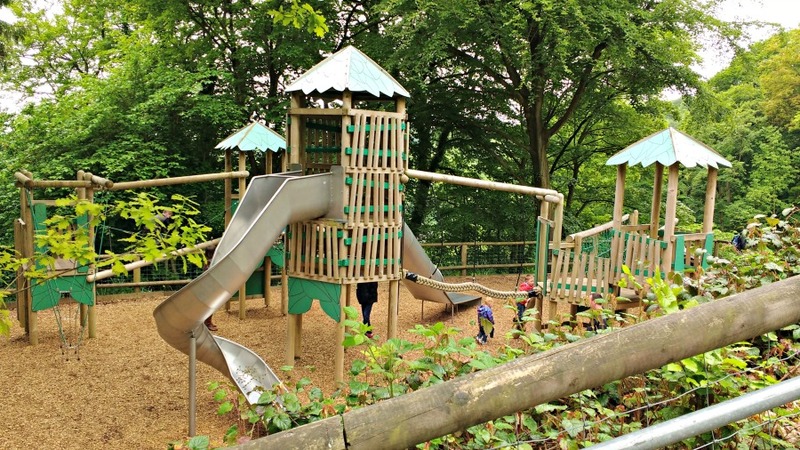 The Woodland play area is in a shaded area on one side of the hill, and the Explorers play area is at the top. As well as the play areas there is loads of woodland and park land to run around and explore. The Fossil Factory is an indoor exhibition which has loads of facts about the history of the Peak District, and the rocks and fossil which were found here. 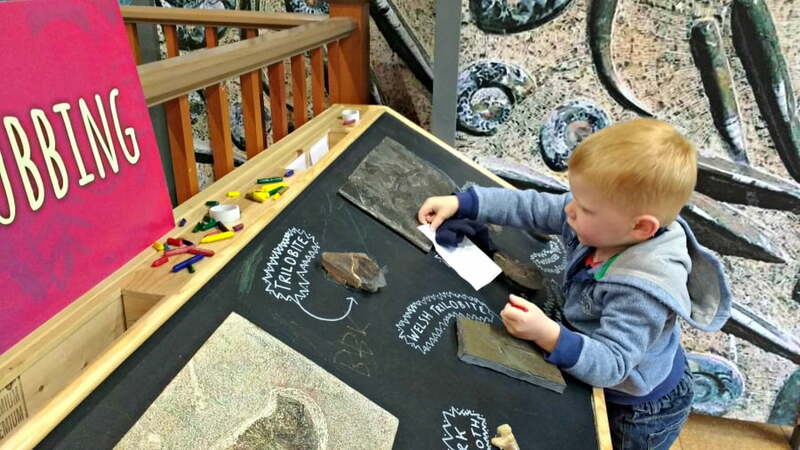 As well as shop selling fossils, rocks and gems, this is the place where crafts and activities take place such as fossil rubbing. The Heights of Abraham is a great day out for babies and toddlers. My toddler was so excited about going on the cable car, and loved running around the areas at the top. He was a tiny bit scared of the cave tour, but I think he was hungry so that was probably the reason why he was a bit grumpy! The playgrounds are fantastic and highly recommended. Another great toddler friendly day out in the Peak District! 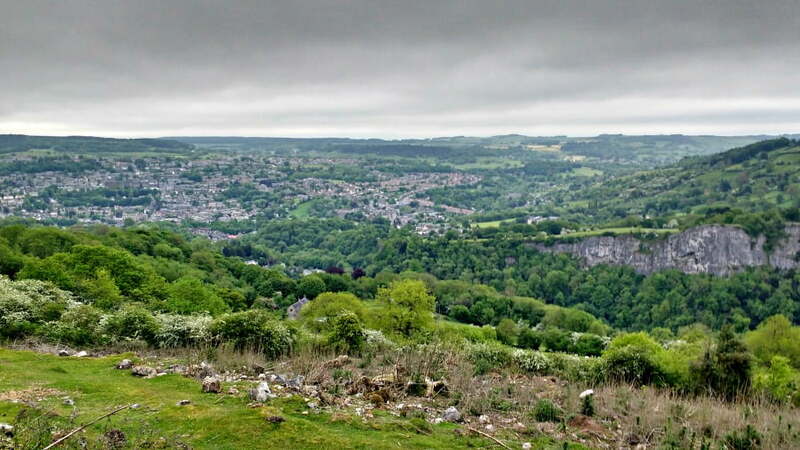 The nearest car park to the Heights Of Abraham is at Matlock Bath train station. There is a Pay and Display machine which doesn’t give change. Pushchairs have to be folded before boarding the cable car. Not surprisingly, pushchairs aren’t allowed in the caves. Babies in carriers are allowed as long as the baby is placed on the front of the parent rather than the back. There are baby change facilities at the top. Some of these pictures makes me wish I lived in the UK. So green! Looks like fun. Are babies in carriers allowed in the caves? Or is it an activity to miss until they’re big enough to walk?